Nicole Marsh from Eureka Prop­erty Buy­ers Agents said to me “One of the strategies we employ is to try and source own­ers who are mar­ket­ing their prop­er­ties them­selves, be it through DIY web­sites etc”. Nicole went on to explain “We have access to past sales his­tory, we can ascer­tain how that prop­erty sits in the mar­ket by com­par­ison to oth­ers and tar­get those owners”. Pro­fes­sional pho­to­graphy really makes a dif­fer­ence in your enquire levels and buy­ers agents know this, so when the pho­to­graphy is not to a pro­fes­sional stand­ard you’re a big tar­get. Buyer’s agents will watch that all unfold until your prop­erty has sat on the mar­ket long enough and dropped in price due to bad mar­ket­ing and low enquiry. Now if you’re not an ex-professional pho­to­grapher I recom­mend you hire someone that spe­cial­ises in real estate photography. This one is just bad. All of the pho­tos are heav­ily pixelated but at least the agent had filled out all of the information. This one is much worse. 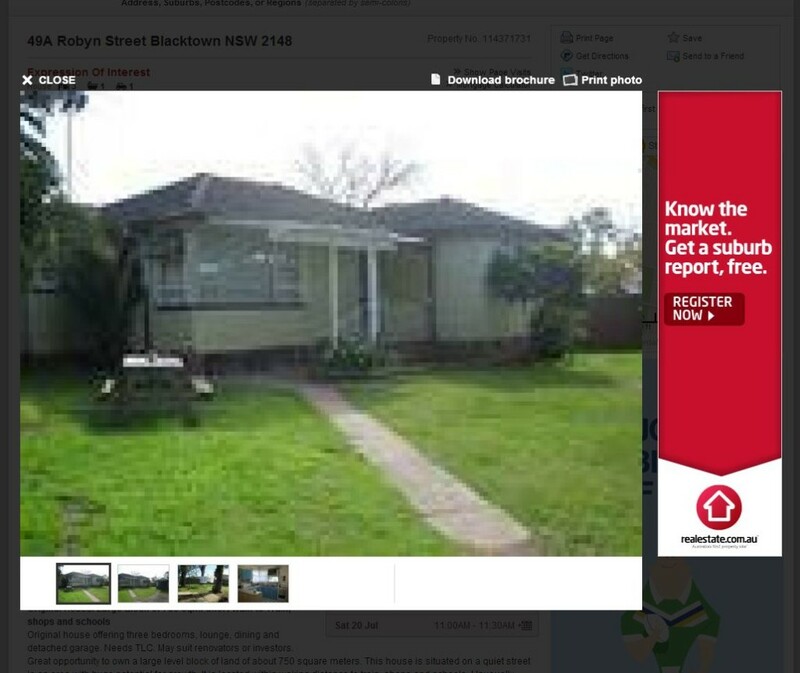 Firstly, the agent has chosen a bad angle to pho­to­graph from and has not even used basic HDR pho­to­graphy. The funny thing is he doesn’t even know how to upload his own pro­file pic­ture to realestate.com. If he can’t do that how can you trust him to sell your house? What the?? How can this guy be in business? This agent below can clearly do noth­ing right…! I can’t believe this is our com­pet­i­tion! 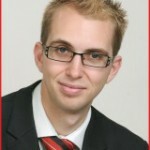 This is an agent from Bur­wood try­ing to sell in our area of Seven Hills. I con­tac­ted the agent and he did not speak any Eng­lish. I bet he is a 1% Com­mis­sion real estate agent. 1% Com­mis­sion real estate agents take advant­age of your money sav­ing mentality! We call these agents com­mis­sion cut­ters. Agents such as these are of the opin­ion that qual­ity advert­ising is unne­ces­sary and that “any­one can sell in this mar­ket! Why pay for more qual­ity online ads and photos?”. By this stage, if you believe this sales pitch you’re prob­ably think­ing why pay for a qual­ity real estate agent? Or “I might as well sell it myself!”. Well you can try to save money this way ini­tially how­ever it can actu­ally end up cost­ing you a lot of time and more money. I’ve looked into it and there are ser­vices out their call­ing them­selves “agent assisted sales” where you can list your home on realestate.com.au for $440 to $599 (domain.com.au is extra). This does not include get­ting you on the first page (which is very import­ant) and a real estate agent nego­ti­at­ing up buy­ers for you. 2 Keys that will make you money when selling. Nego­ti­at­ing buy­ers up to a price you are happy with. While some agents have shif­ted more and more mar­ket­ing towards the ‘Net, there is still much more to be done with old habits, and lots of mar­ket­ing dol­lars wasted every year. 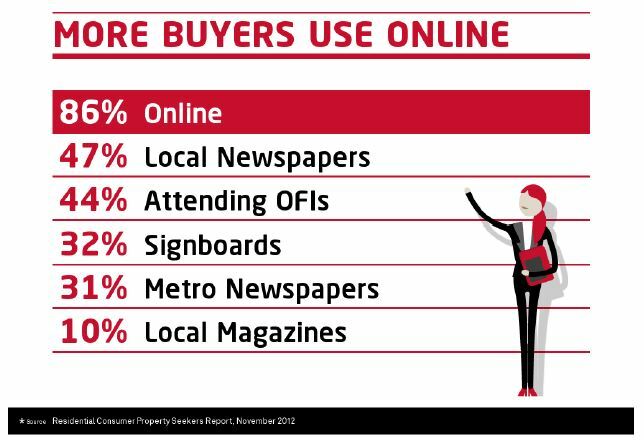 Most real estate agents only spend 30 per cent of their budget online. Charlie cal­cu­lated that $1bn of advert­ising dol­lars by real estate agents was pretty much wasted on non-productive areas. 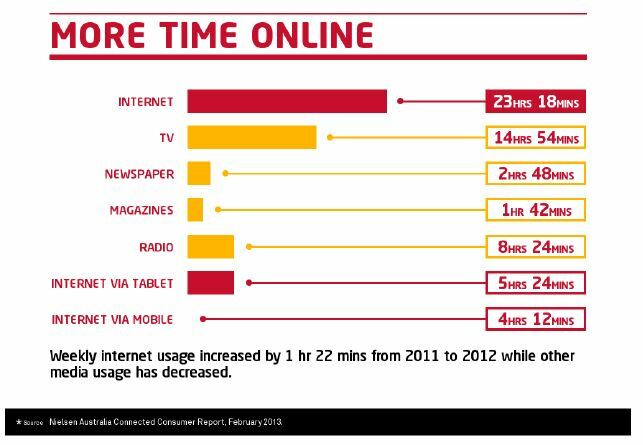 News­pa­per advert­ising will decline fur­ther over the next 5 years; and the web, social media/apps will take over. 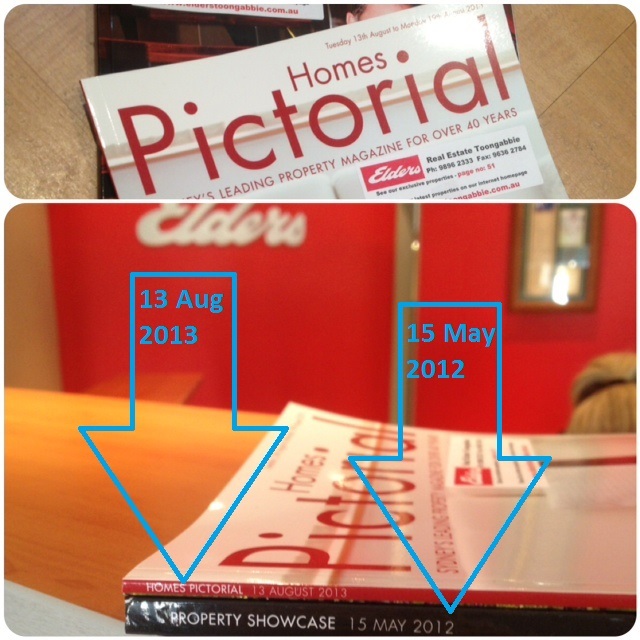 Here is an example of how print advert­ising is shrink­ing in real estate. I can’t remem­ber the last time we ever got a buyer lead dir­ectly from print advertising. The real estate that are mak­ing the most head­way are advert­ising (of course) on all the major real estate web sites, have a good agency site, are using a bit of social media (a blog on their own site, a face­book com­munity page, a twit­ter account, maybe using foursquare or Instagram). 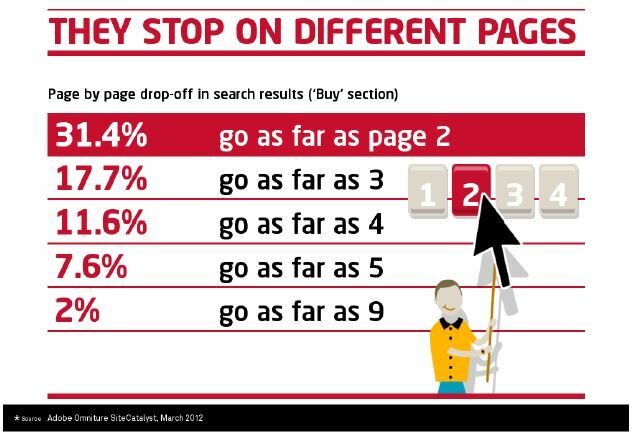 Yes, they do some off­line stuff too, and that com­ple­ments things (but remem­ber where 90% of their leads and enquir­ies are com­ing from). Video is becom­ing more import­ant as the NBN is rolled out increas­ing our inter­net speeds, and they will be able to handle more video streaming. Now what does this mean for sellers select­ing a real estate agent? This makes the real estate agent that is mar­ket­ing online the hard­est will be in the best spot to get the highest num­ber of buy­ers and sellers in the area. In turn they will be able to con­tact their entire fol­low­ing when advert­ising your property. Social net­works can also serve as a venue for enhan­cing your prop­erty list­ings with high qual­ity pho­tos and com­ments as well as a real-time way to inter­act with poten­tial cus­tom­ers who may have questions. Let’s say a poten­tial cus­tomer leaves a com­ment on your agents Face­book wall look­ing for a par­tic­u­lar type of home. He/she can respond with links to list­ings that match what they’re search­ing for, mak­ing it easy for them to find what you have to offer. 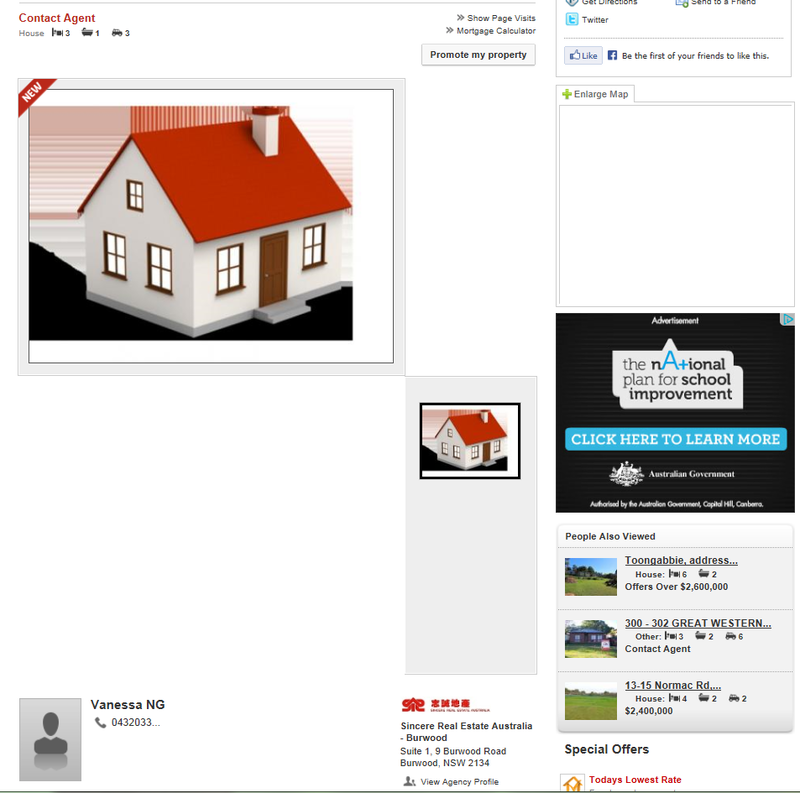 This is just one example that proves why real estate agents need tools like Face­book to build an online pres­ence. This can increase their poten­tial for more cus­tom­ers while enhan­cing their busi­ness in a real way. Social media is yet another way for suc­cess­ful agents to provide local and geo­graph­ic­ally spe­cific tips about the neigh­bor­hood, com­munity and cit­ies they live in. Smart real estate pro­fes­sion­als know how to effect­ively use social media fol­low­ing and get them to their web­site or blog to gen­er­ate buzz about their prop­erty listings. You­Tube pres­ence is the key in this, with thou­sands of videos lead­ing to hun­dreds of thou­sands of views that in turn have the poten­tial to con­vert view­ers into homebuyers. In a recent art­icle real estate agents clam video in their list­ings get around 400% more enquir­ies. We have found this to be true but it will need to be a pro­fes­sional video with some personality. While the major­ity of real estate agents will have honed their skills off­line, build­ing a social media pres­ence can lead to more pro­spect­ive cli­ents find­ing you and either list­ing their home with your agency or pur­chas­ing a home you represent. Suc­cess­ful agents know how to use social media to open lines of com­mu­nic­a­tion and cre­ate a new level of access­ib­il­ity. Gone are the days of sit­ting by the phone, wait­ing for poten­tial cli­ents to call. They are now access­ing pro­files and other import­ant data on the web long before ever pick­ing up the phone. Giv­ing them easy access to you and your busi­ness is vital. Now I could go on about how agents are spam­ming people on Twit­ter or Face­book with their list­ings. That’s like walk­ing up to ran­dom people in the super­mar­ket and shout­ing at them “do you wanna buy this house?!!! !” It may some­times be annoy­ing yet its effective. With Gen Ys rising to be one of the biggest groups buy­ing homes these days, agent need to start mar­ket­ing to them the way they like it. A real estate agent that under­stands online mar­ket­ing will know this and have strategies that will tar­get these Gen Y buyers. “aaarrrr…. I don’t do that Face­book thing” DON’T hire them! “We can post it online” Ask them what there approx­im­ate reach is. If the answer is around 100 they are wast­ing their time. “We can cre­ate a Face­book ad get you over 1,000 extra eye­balls look­ing at your prop­erty, on top of all the other online mar­ket­ing we will do for you” Bingo you have just found an agent that gets it.